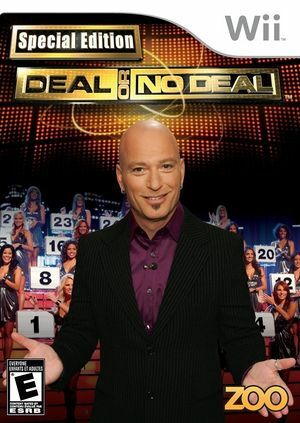 Keep your fingers crossed as the game of odds and chance unfold in Deal or No Deal: Special Edition. With all new visuals and gameplay scenarios, the hit game show confronts you with 26 sealed briefcases full of varying amounts of cash ranging from one penny to $1 million. Choose your briefcases and hold your breath for the million! The graph below charts the compatibility with Deal or No Deal: Special Edition since Dolphin's 2.0 release, listing revisions only where a compatibility change occurred. This page was last edited on 2 March 2018, at 20:43.